Here's my latest review for a fab and affordable repli-kate for the Kiki Classic Cushion Drop earrings by Kiki McDonough. 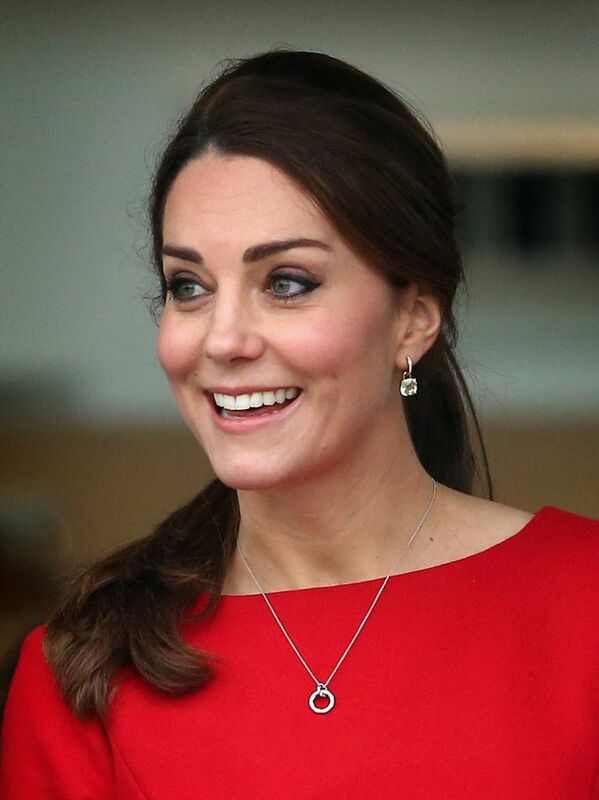 The Duchess of Cambridge has been photographed wearing these in citrine and green amethyst. 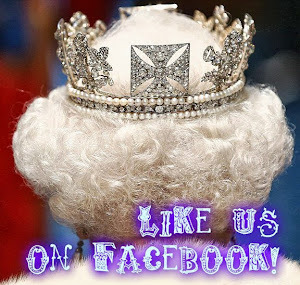 She also has a pair of pink morganite drops mounted in white gold, for a repli-kate review of those head here. The origianl Kiki Classic pieces retail at £1,300 (approximately €1,850 or $1,955). The hoops and stones can be purchased separately, thus allowing a number of different looks, and retail at £500 and £800 respectively (€710/$750 and €1,140/$1,200 respectively). 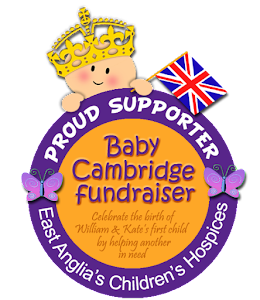 They are available in 18ct yellow or white gold (Kate owns the yellow gold version) and a wide variety of coloured stones, including purple amethyst, blue topaz and lemon quartz. The first outing for the Kiki Classic citrine earrings: at the Cheltenham races on 15 March 2013. Left: 8 November 2014: a day of engagements in Wales - Right: 25 November 2014, visit to EACH Hospice in Norfolk. 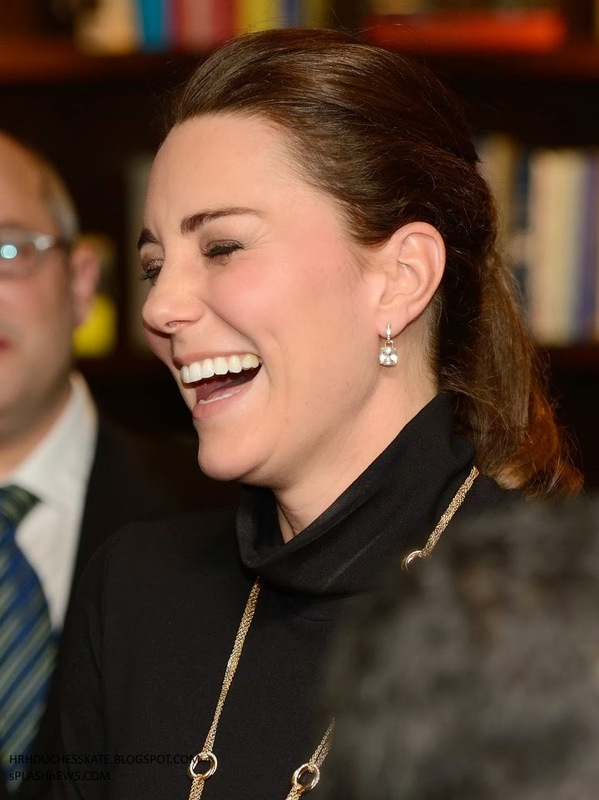 Both 9 December 2014, during the visit to New York City: visiting the 9/11 Memorial and Museum and attending a reception honouring British creativity, as part of the GREAT program. 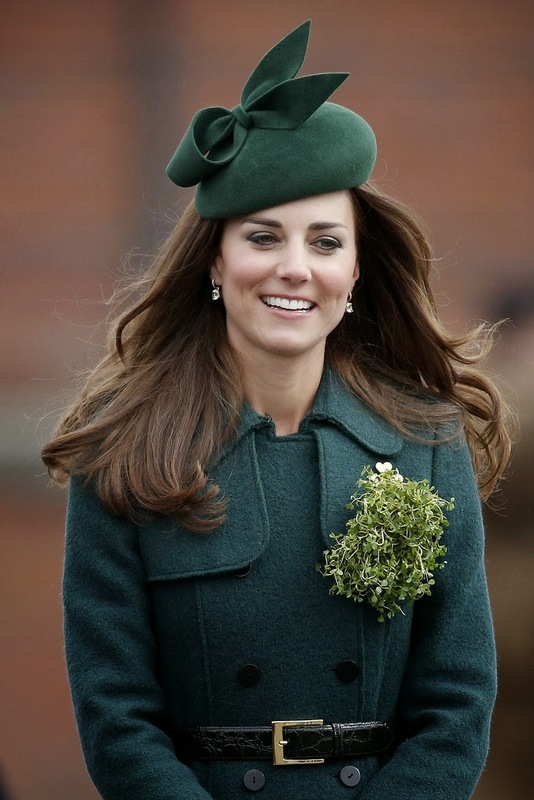 Given the price tag for the real deal, a nice repli-kate option was obviously called for. Luckily Heavenly Necklaces (for those who may not be familiar, a British brand specializing in "the finest cz jewellery", and favourited by both the Duchess of Cambrdige and the Countess of Wessex, who is frequently seen wearing their pieces) came to the rescue with their gorgeous Diamond Huggies with Gem. Available both in 18ct yellow gold plate (shown above) and silver plate, they are available in purple amethyst, green amethyst, citrine and blue topaz. 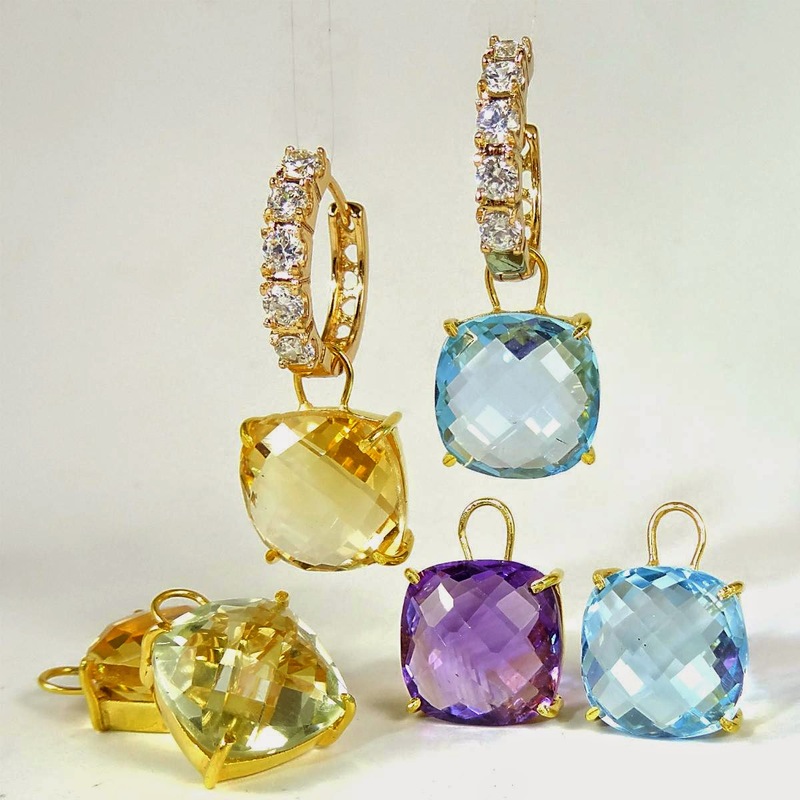 The gems are real cushion cut gemstones and retail for a fraction of the price of the Kiki Classic pieces. Originally priced at £38 (€49/$55) for the cz hoops, plus £42 (€54/$60) for the gem drops (except the blue topaz, which is priced at £62/€80/$89), these are now reduced at a bargain £36 (€46/$52) for the hoops, £38 for the gems (except the blue topaz, which is still pricier at £84/€108/$120). They're available in a rainbow of colours, too! Apart from those mentioned above, there's clear crystal, pale pink amethyst, aqua onix, indigo quartz (almost the same shade as the real blue topaz at a fraction of the price) and pink hydro. Seriously, what's not to love? The only downside is that shipping costs are a bit steep: £11.95/€15/$17 for registered shipping to Italy, which does seem quite a lot, considering the parcels are usually small and light. However, when there's a sale going on, like now, it's definitely worth it. Plus, the HN customer service is excellent: friendly, prompt and reliable! Shown below are the citrine drops in gold suspended from Heavenly Necklaces' lever back hoops (12 mm long), gold plated and studded with tiny cz crystals, and the amethyst ones paired with their gold plated and cz crystal hoops (slightly bigger at 15 mm in diameter). Both hoops retail for £38. 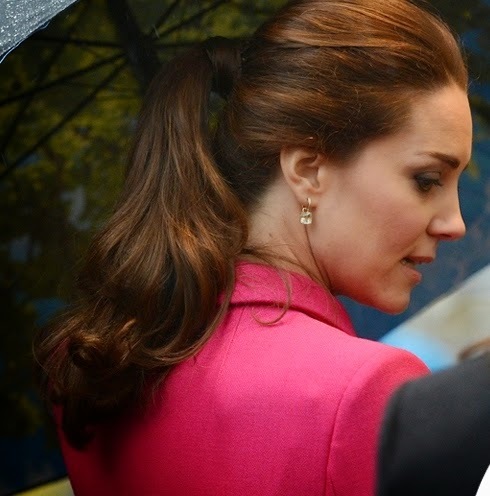 The Duchess' Kiki hoops look more similar in real life to the smaller version by HN (both 12 mm total hoop lenght). I have since added to my collection with the blue topaz and pink hydro gems - don't these beauties look like jelly beans? As you can see, I've also purchased a new set of finer hoops, as those shown above on the citrine drops had started to show signs of wear and a couple of crystals had come loose. I have to say I like this new version currently available on the website much better. The slightly bigger crystals suit the gems very well! They look like candies! How pretty! 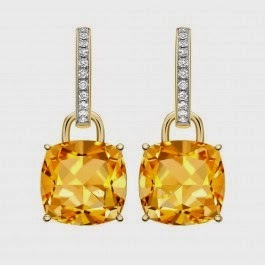 Now that I am seeing better photos of the citrine drops I am tempted to buy them. Lol. 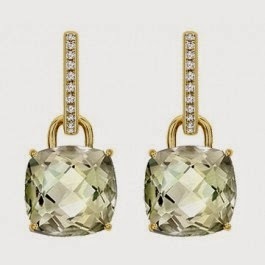 But I am saving up for the real Kiki McDonough Citrine Pear Drop earrings, so I will hold off on it for now. Good luck with your savings plan then! I'm always toying with the idea of saving up for a pair of Kiki oval green amethysts, but the somehow some new *unmissable* replikate comes up and all my efforts come undone! Thank you, always happy to help! It's nice to assist each other with tips and opinions.